Holiday Gift Recommendations from our Occupational Therapy, Physiotherapy & Speech-Language Pathology Team! With the holidays just around the corner, our therapy team has put together a list of some of their favourite toys and games that are also excellent tools in helping children develop a wide range of skills. Hopefully, this will help parents, grandparents, aunts and uncles in selecting fun and educational toys as gifts for the holiday season! This is a fantastic cause and effect toy that keeps children engaged for extended periods of time. Whenever my clients need some movement activity, I bring out this toy. 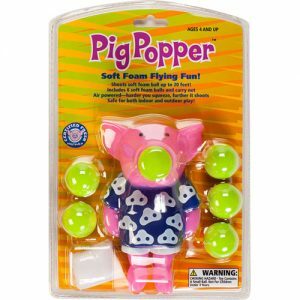 I mainly use it to improve joint attention skills, initiating interaction, requesting, working on fine motor skills (in squeezing the pig’s belly), building turn-taking skills, and constructing verbal routines (repetitive words) for early learners. This nesting garage and car set is a tremendously exciting toy. It fosters a language-rich interaction; the cars can be parked in their respective garages, and the garages can be stacked one on top of the other. Play and simple verbal routines can be built. 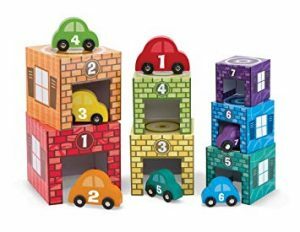 I love using this set to work on prepositions (“Put the red car on the green garage”). 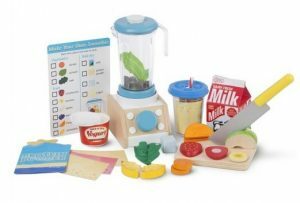 This toy can be used to enhance a child’s functional vocabulary, following directions, sequencing, and problem-solving skills. 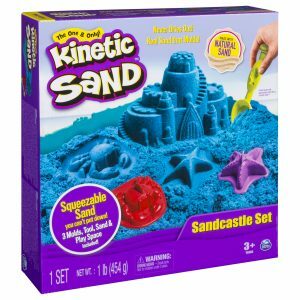 Kinetic sand is very versatile, and it targets a child’s pretend play skills. It can be moulded into anything. It can also be used to make a sensory bin – adding a set of toys (sea creatures or construction are some excellent suggestions) to the sand in a container. This provides hours of exploration for a child. This toy can be used to initiate interaction, enhance a client’s functional vocabulary, sequencing, fine motor skills, and social skills. Board games are a great way to work on language at home in a fun way that brings the family together. Games can work on developing vocabulary, asking questions, and using language in flexible ways. Classic games like Guess Who can work on question formation. Hasbro makes several different versions, including ones for younger children. Word games such as Apples to Apples Junior and Headbanz can support vocabulary growth and strengthening concepts, as children need to creatively describe, ask questions and use related words in a fun way. Stocking stuffers like MadLibs can increase ideation for storytelling, using descriptive language to help reinforce parts of speech (ex. adjectives, nouns, verbs). The STEM Jr. Tornado Tower by Little Tikes engages children in science and math activities through hands-on play. The tower comes with experiment cards that use easy-to-find household ingredients. This is a fantastic way to support cognitive development as it allows kids to practice following instructions, organizational skills and planning. By using the measuring cup (included), your child will be developing hand-eye coordination as they carefully pour ingredients into the tower. As they use the tornado throttle to grade the force of the tornado speed, they’ll be enhancing fine motor control and precision at the same time. Little fingers will also build strength as they use the pump to make bubbles. 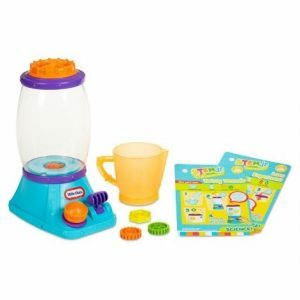 Complete with 3 plastic gears and instructions on how to turn the tower into a lava lamp, this toy provides a unique sensory experience for your little one while exploring the fun of science! This is an excellent game for kids who need practice with visual perception and spatial awareness as well as fine motor control. This game requires each player to build the same structure from a blueprint card. 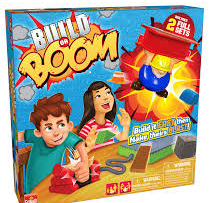 Whoever makes their structure first gets to hit the “boomer” and explode their opponent’s unfinished design. The set-up is quick and straightforward. Also, this is a great game to work on winning and losing with regards to emotional regulation. 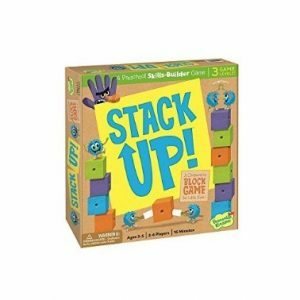 Is a fantastic cooperative game for younger children, however, the game can be graded easier or harder depending on your child’s ability. Players work together to build a stack before the “hand” makes it around the board to knock it down. Younger players use their hands to build the tower, while older players use “stacker sticks”. 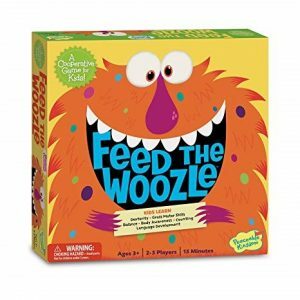 There are challenging cards that add excitement to the game which support fine and gross motor skill development. This game is also great to work on bilateral coordination (using both hands together), fine motor coordination as well as grading of force. For your kids who are 8-10 years old, I want you to tear them away from Fortnight. 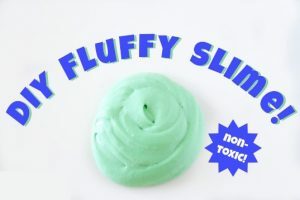 We all know that pre-teens have recently become obsessed with slime. While nontoxic recipes are needed, these are great ways for them to learn math with measurements, and gives them something to fidget with later! You can find lots of great recipes online – even have your child try 2-3 different recipes and compare! Then let’s send them to the circus! 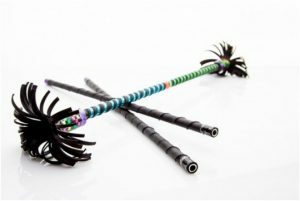 Devil sticks are a set of three baton sticks that kids learn to twirl and balance. 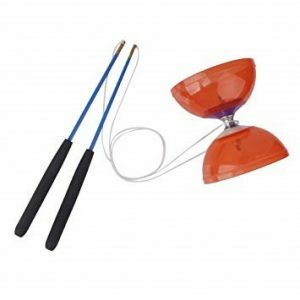 The other hot juggling toy is Diablo. Despite its sinister name, it is a ball that you juggle along a rope. These toys are great for children’s coordination, motor planning and getting them off the tablet! Wobble boards and balance boards are great for practicing stability. 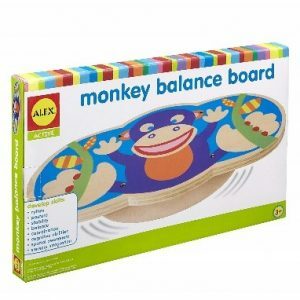 The Alex Monkey Balance Board is a great size for small feet, but also very sturdy. Encourage your child to practice their balance and give them a challenge by playing catch while standing on it! Balance beams: At home, balance beams are a great way to bring the gym to you! You can go for one piece ones, or a favourite of mine is the Curve – a – Beam. 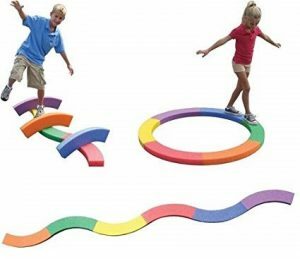 This set of rainbow arcs can be put together like a balance beam, built into a circle, or placed on their side a row for great obstacle challenges. 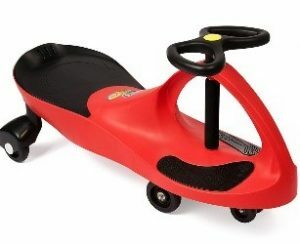 These cars help to start building the foundation of balance and core stability for early biking skills. By sitting on the car and moving side to side, children learn how their weight shifts help to control the movements of the car, which carry over to learning how to handle a bike! By: Saima Latif, Speech Language Pathologist, Occupational Therapists Ashley Rego, Ashley Cooper and Laura Goldenberg, and Physiotherapist Jennifer Halfin.